I have had a few different projects pop up recently that incorporated pinwheels and I knew exactly how I wanted them quilted! I wanted a line of stitching just inside every side of each section. So I needed to figure out how I could get the look I wanted in the easiest way possible. After a couple of tries I realized it could be done in one continuous stitching line if I followed the correct pattern. I originally sketched out the stitching order in pencil and even though I understood it I knew it would be super confusing to anyone else. So I redrew it in color order! *I love color order so much! * Below is the stitching graphic for how I quilt my pinwheels. 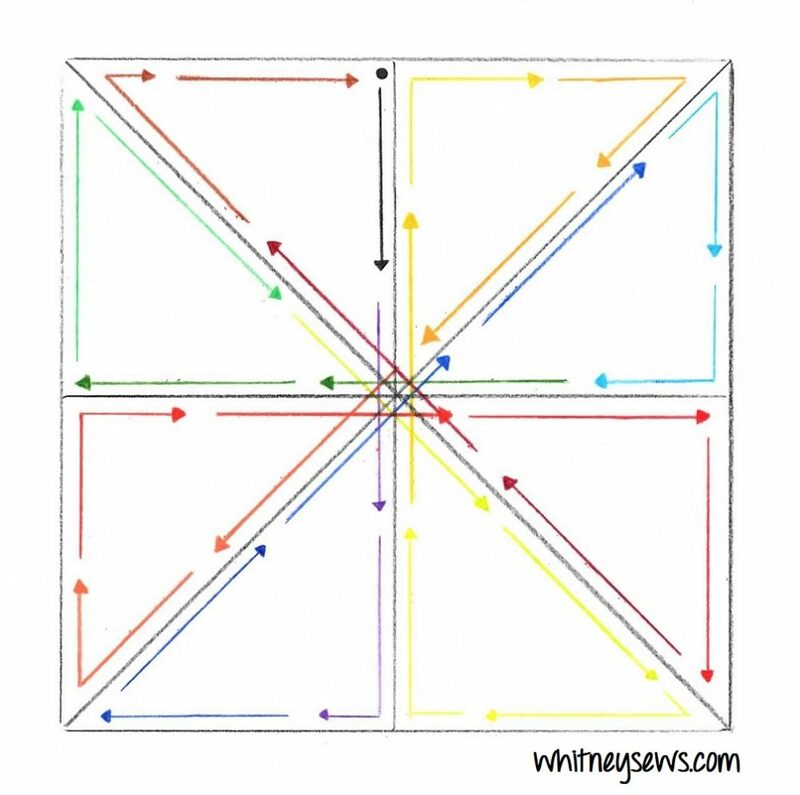 Simply start at the black dot and follow the arrows in color order around the image to quilt your pinwheel. 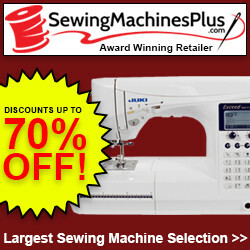 Make sure to pin and save the graphic to have it next to you while you are at your sewing machine quilting. 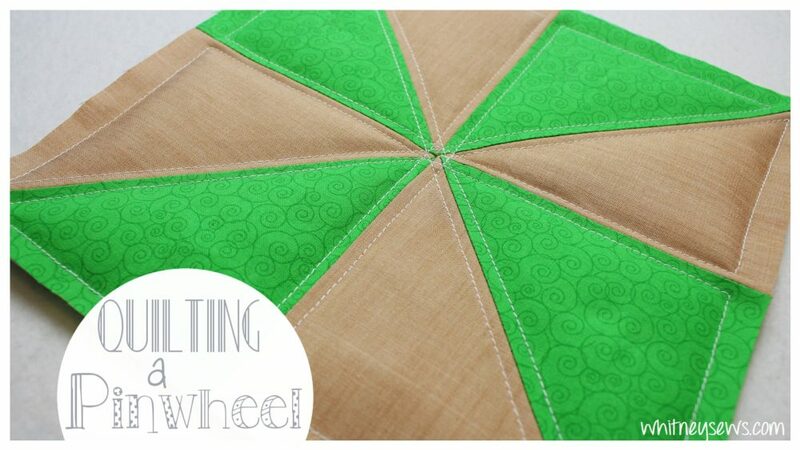 Click HERE to watch the video where I show step-by-step quilting one of my pinwheels. After you quilt a few pinwheels and get the hang of it you can really start at any point on the block and just keep following the same pattern until you get back to where you started. For the Star Wars quilt pictured above I started quilting on the tan/blue pinwheel in its upper left corner. I quilted the pinwheel then when I got back to where I started I stitched straight up into the feature block above and did some straight line stitching then went right into the yellow/white pinwheel, quilted that one and moved to the feature block below. I was able to continue that pattern to quilt two full rows of the quilt in one continuous stitching line! Then I repeated the pattern with the next two rows, etc. 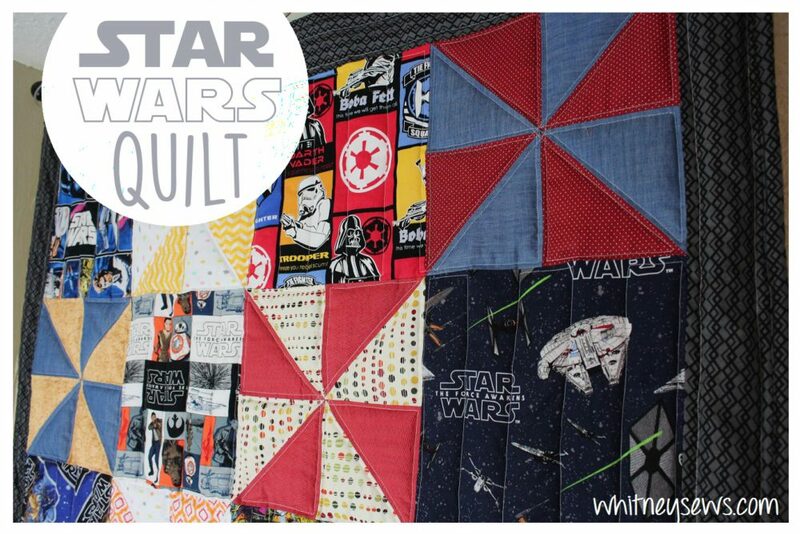 You can see more of my Star Wars quilt HERE! On the Oklahoma Harvest mini quilt I quilted each pinwheel separately then quilted straight lines on each of the sashing/cornerstone pieces. 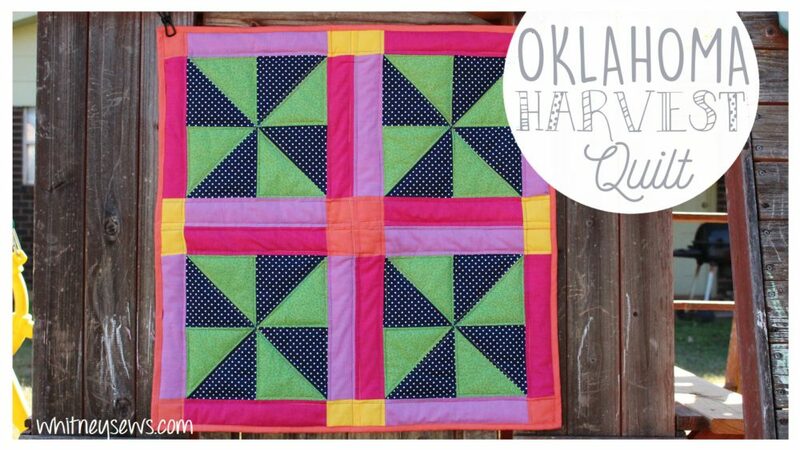 Click HERE to learn how to make the Oklahoma Harvest quilt! I hope this helps gave you the confidence to try sewing/quilting some pinwheels! Let me know what other quilt blocks or techniques you want to see covered in a future Quilting Quicky video. Until next time, Happy Sewing! This entry was posted in Blog, Quilting Quicky and tagged DIY, How to, Quilting, Quilting Quicky, Sewing.